Gary Lee Rasdall, 74, of Effingham, died Thursday, April 12, 2018, at the Mosaic Life Center, St. Joseph, Mo. Funeral Services will be held at 11 a.m. on Wednesday, April 18, 2018, at the Becker-Dyer-Stanton Funeral Home, with the Rev. Mark Armstrong officiating. Burial will follow in the Evergreen Cemetery, Effingham. The family will receive friends from 6:30 p.m. to 8 p.m. on Tuesday, April 17 at the Becker-Dyer Stanton Funeral Home, 800 Kansas Ave., Atchison. Gary was born on Aug. 14, 1943, in Kansas City, the son of Everett and Doris J. (Summers) Rasdall. He graduated from Atchison County Community High School in 1961. Gary was a United States Air Force veteran, serving from 1967 to 1971. He worked as a steelworker at the former LFM Foundry, Rockwell International, Atchison Casting and Bradken. He retired after 43 years. 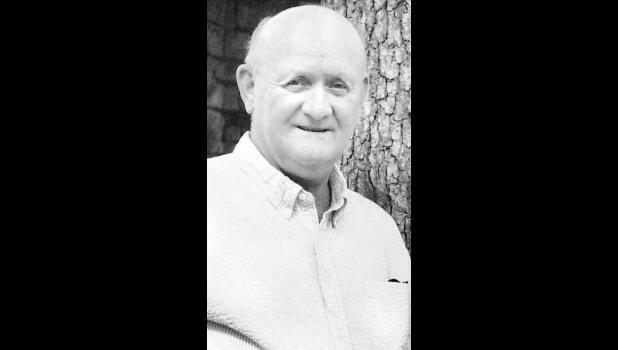 Gary was a member of Larkinburg Christian Church and a member of the Ozawkie American Legion Post, the National Rifle Association and was an avid fisherman, and he enjoyed hunting and gardening. Mr. Rasdall was the MVP for three Air-Force Bases Fast Pitch baseball teams. He married Joyce E. Sharp on Aug. 15, 1964, in Effingham. Mrs. Rasdall survives of the home in Effingham. Additional survivors include several nieces and nephews. His parents, two brothers, Eddie and Mick Rasdall, and a sister, Sharon Kuykendall, preceded him in death.